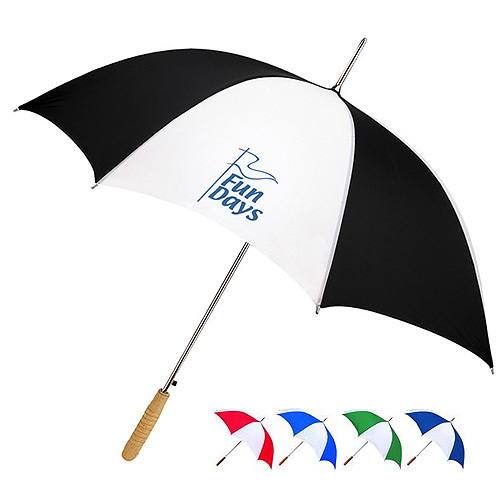 Northern Mid-Size Auto-Open Umbrella a single white panel will make your logo stand out.Made of nylon with fiberglass shaft and PVC handle. White panel draws maximum attention to your logo. Push-button automatic open.